The Amazing 1963 Avanti appeared in Studebaker dealer showrooms in the summer of 1962 and the first Amazing Spiderman comics were published a few months later. The Amazing Spiderman issue No. 1 was published in March 1963 and features the Fantastic Four. Issue No. 3, published in July 1963, introduced Dr. Octopus. Issue No. 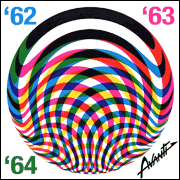 6, published in November 1963, features the Lizard. In issues 8 and 9 Spiderman tackles the Human Torch and meets up with Electro. 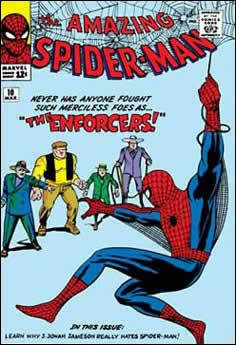 In the 10th issue, published in March 1964, Spiderman tangles with the Enforcers. Original copies of these Spiderman comics which sold in 1963-1964 for 12 cents are now rare collector items that sell for thousands of dollars. Issue number one of The Amazing Spiderman published in March 1963 by Marvel Comics. 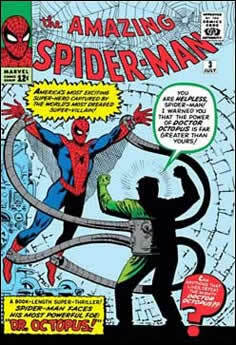 Issue number three of The Amazing Spiderman published in July 1963 introduced Dr. Octopus. 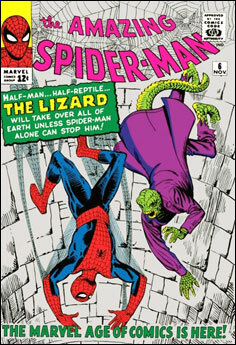 Issue number six of The Amazing Spiderman published in November 1963 features the Lizard. 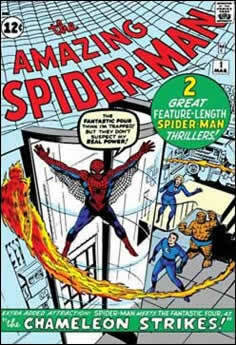 In issue number eight published in January 1964 Spiderman encounters the Human Torch. 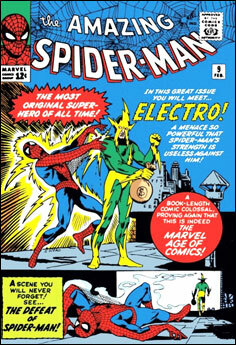 Issue number nine of The Amazing Spiderman published in February 1964 introduced Electro. 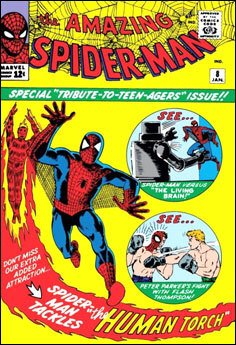 Issue number ten of The Amazing Spiderman published in March 1964 features the Enforcers.